A large part of your overall divorce proceeding concerns the separation and distribution of assets acquired during your marriage. You’ll need to honestly disclose all financial information to both your own attorney and any other involved parties in order to file properly. Any withholding of such information could result in the reopening of your divorce. It’s not uncommon for married couples to go into business together. During a divorce, however, it can be difficult to decide and facilitate how the business will be owned and run in the future. 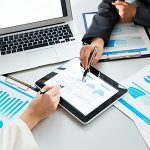 Whether you intend to continue operations or not, the business will need to be valued and assessed so that any shares can be divvied up between the two of you. Zimmerman Law Offices will ensure that the true value of your investments is protected. Before marital property can be distributed to either party, it must first be valued. 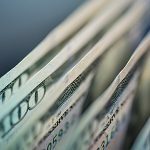 Though this can be a straightforward process, it’s not uncommon for estranged spouses to attempt to hide assets from their former partner in the hopes of retaining more assets for themselves. Attorney Jeffrey Zimmerman has seen this many times and is quite adept at spotting these techniques and fighting against them. Dissolving your marriage does not negate the debt accrued when you were still together. Just like your financial and physical assets, the debt tied to you and your spouse needs to be valued and distributed as well. We can help you determine how much debt is owed and in what forms, and work with you to devise a creative strategy for debt distribution. We may be able to leverage other assets in your name and/or propose unique terms. Dealing with complex assets at the end of a marriage can be overwhelming and stressful. Attorney Jeffrey Zimmerman has been helping divorcing couples for nearly four decades and has litigated a wide variety of contentious disputes. While each person and case is different, Jeffrey Zimmerman has the extensive experience necessary for resolving your situation in the best way possible. Contact our office today. Zimmerman Law Offices offers reputable legal counsel to Petaluma families engaged in complex property distribution matters. Call (707) 763-9525 to learn more about how attorney Jeffrey Zimmerman can help you move forward.